Hundreds of labor and social justice activists descended on the nation's capital this weekend for the 2019 AFL‑CIO Dr. Martin Luther King Jr. Civil and Human Rights Conference. AFL-CIO President Richard Trumka kicked off the gathering by tellingparticipants that this is our moment for action: "We're living in the fierce urgency of now. This is a time to take risks. This is a time to get uncomfortable. That's when real progress is made." The MLK Conference also featured a number of panels on Friday evening, including a town hall conversation with Andrew Gillum, 2018 nominee for governor of Florida. 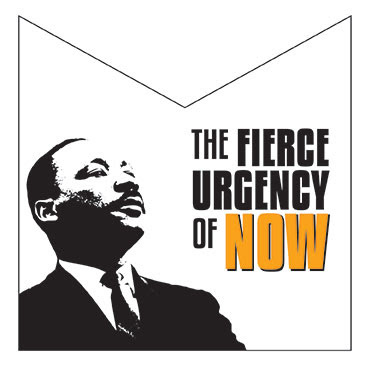 He told participants: "Nobody understands 'the fierce urgency of now' better than labor. Dr. King...was laboring to build a better environment. That if you do an honest day's work, you ought to be paid an honest day's wage.... You ought to have access to health care, a wage you can live on, and your race, your gender and whom you love should not dictate how you get treated at work." You can watch his entire conversation with Melanie L. Campbell, president and CEO of the National Coalition on Black Civic Participation, here. Hundreds of participants kicked off Saturday morning by rallying at the AFL-CIO headquarters in solidarity with the federal employees affected by the government shutdown. They then took to the streets to join with thousands more activists from across the country to march for workers' and women's rights. Sunday's awards gala honored fighters like the late Augusta Thomas, national vice president for women and fair practices emeritus, AFGE. You can see a roundup of awardees here. Monday was a day of community service throughout Washington, D.C. Activists visited patients in nursing homes, cleaned up and painted walls and murals at area schools.